"TO HELP MAKE A DIFFERENCE IN THE WORLD"
About Me Well... let's see here. I'm kind of an unusual person, maybe not terribly conventional. I'm fairly bold, often doing or saying things others might not. People call me "free spirited," upbeat. And I do get a huge kick out of "the passing circus." I can have fun just about anywhere doing just about anything. I find everything interesting, and I never fuss if the plans go awry or hit unexpected snags. I'm always good company, always show people a fun time, always very considerate. Still, deep inside I'm a true loner type and I do worry and fret about all kinds of things. Though I'm intelligent enough, I've been somewhat of a slacker, hustler, rounder and ne'er-do-well most of my life. I ascribe this to my many "subclinical" bipolar tendencies; my mother was a screamin' manic depressive, rest her soul. When you're really high-functioning (in certain respects) you never think of yourself as being "deluded" by any nonadaptive psych traits; you buy whole-cloth into all your reactions and conclusions about life and what you should be doing with it at any given time. Only much later do you realize you've thrown away so many opportunities searching for the next new thing, the next windmill to tilt at.... and now, when you should be basking in social solidity with initials behind your name, a loving family and a fat retirement plan.... (ahem) you're NOT. Anyway, I've had a pretty good life in other respects! I've been a mountain climber, a skydiver, a pilot with several cross-country solo trips under the belt, a backpacker, horse person, skier, competitive swimmer... and all these were long-term, nothing token! I still ski, swim, bike and backpack a lot. Have had many, many sports injuries but fortunately heal very fast. I went to college just out of my freshman year in HS; kicked out later for rabble-rousing. I was a homeless street hippie in the 70's. I've tried just about everything, had more wild adventures and scintillating sensory experiences than you could shake a stick at. I play piano and also sax. I've owned many animals, had many boyfriends and lovers, and many marriage proposals (though there was never one time that someone I wanted to marry, wanted me too, and vice versa! Still, I've known great love and am grateful for it. And, another one might come along any minute! I love travelling in developing counries and have visited most of them. I go solo, just throw myself in without language, guidebooks or plan, staying a month or two in each place. Love to hang out with the locals in the tiny one-horse towns, just sharing life with them for awhile... I'm creative and resourceful in nebulous situations, and somehow I always get by. I'm a big movie buff, love crosswords, love puttering and fixing stuff. I cook very healthy meals, play with my animals a lot, ski all winter and garden all summer, and quite often jump in the car to head for the nearest mountains, luckily just an hour or so away from Seattle. Love to car-camp and hang out in the woods. Love stone, wood, water, fire, pine cones, ferns, mosses, trees... nature is my joy and solace! I'm also a beer aficionada and love to parse the merits of various brews (the hoppier/chewier the better!). And of course, I do use a bit of the good ol' MJ. I love it for many reasons (including the ability to extreme-ski on bad knees), but I do use it responsibly, i.e., moderately. Noticing I'd never written anything in this box, I got a wild hair and did it tonight, 3/10/11. I may look at this tomorrow and say, Yikes! ... but maybe not. Cheers! What Gives Me Hope Not a lot gives me much hope these days, I'm afraid. We are hurtling slowly toward destruction, and the hook is unidirectionally barbed. (sigh) ....HOWEVER: THE FOLKS AT CARE2 DO GIVE ME HOPE. IF EVERYONE WAS LIKE THEM, THIS WORLD COULD BE SAVED! If I were Mayor, I'd make the world a better place by I'd emphasize the importance of every citizen learning more about basic human psychology and its role in the course of human events. I'd implement various ways to accomplish this in an entertaining and user-friendly manner. What/who changed my life and why No one thing (book, movie, person, etc.) has ever seriously changed my life. I'm too oriented to the Big Picture and all the zillion crazy, hilarious, tragic, poignant, deep & totally entertaining things the "Big Picture" has to offer. Quotation "AND HEY, IN CASE WE NEVER MEET AGAIN: HAVE A HAPPY LIFE!" -- Cindy B's preferred farewell to those whose life tragectory briefly crosses her own. I hope you have a wonderful week Cindy!! Angela B. 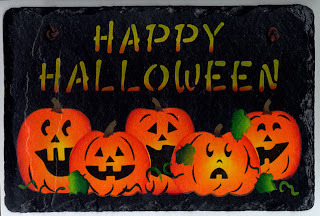 (66) I hope you have a fun and safe Hallowe'en!